Siddhartha Deb was born in Meghalaya, India, in 1970, and grew up in the northeastern hills of Shillong. With a postgraduate degree in literature from the University of Calcutta, he proceeded on to Columbia, New York City, for a PhD programme. Deb is a writer of exceptional talent. Twentieth century literary discourse feeds on narratives of war and politics. The two world wars stripped humanity, and the European mind, of certain myths it valued and preserved. In 1939, the Soviet invasion of Poland ushers in an era of political turmoil, and exuberance in Eastern Europe. East Europe in the present century produced intellectual dynamites like Ionesco, Vaclav Havel and Czes?aw Mi?osz. Siddhartha Deb was born in Meghalaya, India, in 1970, and grew up in the northeastern hills of Shillong. With a postgraduate degree in literature from the University of Calcutta, he proceeded on to Columbia, New York City, for a PhD programme. Deb is a writer of exceptional talent. His novels and a more recent book of non-fiction are all sharply written, and illuminate the strange intersections of desire, otherness, and commerce — the wild bewilderments of contemporary life. At once dreamlike and shocking, Deb has created his own fictional outpost that harbours both love and hope. He has been compared with Gogol, Kafka and Orwell, but his is an original voice deeply rooted in his own soil. 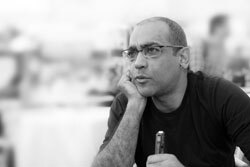 During a recent sojourn at the Karachi Literature Festival, he talked to TNS about a myriad thing — Calcutta, love — lost and regained, and a bleak and beguiling India. The News on Sunday: What interested you in the beginning to become a writer? Siddhartha Deb: The idea of becoming a writer was just too big, too alien and too grandiose. I knew I didn’t want to do the conventional part of engineering. So, I decided to study literature. People would ask me what the use of studying literature is. I would say ‘journalism’ because journalists have some access to power. Being a journalist was not as good as being a civil servant or a district collector back in the late 1980s, but, at least, gave one access to the district collector! TNS: How did the socio-political milieu of West Bengal rub off on you? What were its ramifications? SD: Calcutta was very exciting because it was connected to the world. Bengali cinema influenced me a lot — I discovered Ritwik Ghatak and Satyajit Ray in Calcutta. When I took to Calcutta in 1988, before the collapse of the Soviet Union, the politics of the Left still had a role to play. Naxalism was in the fringes of the college in its intermediary phase. A lot of people were the remnants of the earlier movement before the new resurgence of the Naxalites in India. I was kind of an independent ‘fellow traveller’ but the elite of the college also dazzled me. I wanted to belong to that group. When I felt rejected, the paths became slightly clearer. That’s when I started looking more at the city, at the ordinary people. Between college and university, I saw people from a much wider level of backgrounds. I started interacting with those who wrote in Bengali. If you are talking about the intellectual influences, some of the best things Calcutta offered me were Bengali cinema, Bengali poetry and the culture of the street. I was a peasant from the hills. My parents were not very cultured. My father didn’t go to school. From there to go to the bhadralok class of Calcutta was very intimidating. These are the people who talk about Sanskrit poetry and Gautam Ghosh at the turn of the hat. But I opened up. I read a lot of the Hungry Generation of Bengali poets like Vishnu De, etc. I loved the street culture with a very high premium on wit, quick repartee on response, where men and women talked together at The Coffee House. But I was still a bit from the outside, still very attached to the hills. I couldn’t become a Calcutta Babu! TNS: What brought about your first novel The Point of Return? Where was its seed sown? SD: It was born in Delhi when I was working for a magazine there. It didn’t begin as a novel; it was just a very strong cluster of memories about the past. For a while it was not clear to me what my subject was. While working for The India Magazine, I travelled a lot to North India that opened up new worlds on me. Now I was seeing other places such as Mathura and Kurukshetra. I got the chance to visit Bihar, to see my nana’s place, to write about the coal miners there. TNS: How have you managed to reconcile your literary interests and political concerns? The socialist sentiment appears to be the main thread in the cultural identity of your novels. SD: The idea of art or aesthetics has its own logic, its own life and appeal, but I was always very aware that it’s got to speak to the world. This does not mean that the only writers I like are Socialists or Marxists. I sometimes like writers whose politics I don’t agree with if there’s something in their obsession that moves me, that has to do with the human existence or when there’s something genuine about their struggle with our being in the world. There’s been a Leftist strain in my thinking. Post colonialism became important to me in my Columbia days. Frantz Fanon moved me and questions of race became more interesting to me when I went to America. I’ve always been obsessed with the idea of justice. When BJP was in power in India, everybody in the ‘chattering class’ seemed to be Right Wing, in terms of both religion and economics. It became a little better when Congress came in. The discourse has changed so much for the Right that something I say today sounds radical: whether it’s possible to work that into one’s writing is open to conjecture because being polemical is not one of my strengths. Arundhati Roy is a polemicist, and she’s very brave. TNS: How would you respond to the idea of making a ‘paradigm’ out of the main character in The Beautiful and the Damned? SD: I don’t know if I would call it a ‘paradigm.’ I would say he’s an individual. One of the criticisms is that I’ve chosen a random person but it’s been chosen carefully. It’s hard to write about people when you detest them all the way. I have to have some empathy in order to write about them! The main engineer exemplifies all the questions I wanted to raise about caste, identity, rationality, and about politics and economics. He is just a character like many IT engineers in India who have right wing tinge to their thinking — both in economics and politics, and in terms of religious ideas. I found a minor character who turned out to be an RSS follower. I am not making some kind of a statement that all engineers are right wing fundamentalists. But at this moment in India, there’s certainly a tendency among some people who benefited a lot from the economic changes to be leaning towards a self-concocted Hindutva. The book is a work of fiction, so no individual exemplifies the paradigm completely. TNS: Where would you draw a line between a democracy and a republic? SD: I guess, democracy, in some sense, is supposed to be the will of the people, going by the etymology of the word; a republic would try to distinguish itself somewhat from a monarchy, so much so that you can have an authoritarian republic. In fact, republics often have presidential figures. The idea is to have a powerful central authority figure, which is not hereditary, doesn’t go down the family, but is an elected person. So, the will of the people is involved but the emphasis seems to be more on power. In that sense, calling my book An Outline of a Republic is a good idea because the book is not about democracy but about the imperfections of democracy. A republic is much defined by its orders, by its boundaries, and the book is much interested in those boundaries, those edges. TNS: It’s been said that the craft of novel writing and its concurrent literary merits are either being overlooked or sacrificed in favour of the agitprop. What is your take on the stock of writers writing in English as a second-language? SD: I greatly admire Arundhati Roy and Pankaj Mishra, and am mostly in agreement with them. I sense their share of outrage at the excesses of the new India, and their sense of possibilities for an India that is marginalised by the ‘new India’ rhetoric. If one doesn’t write about societal issues, what does one write about then? The personal is the political, as the 1960s radical say. Literature is an engagement, if not with the social and the political, then perhaps with the metaphysical, existential or spiritual issues. There has to be some kind of a conflict — between the art, the technique and the raw material to be shaped. There has to be the danger of handling explosives in shaping a novel. It should be like putting together a bomb, which means the gunpowder has to be potent whether it’s societal, or whether it’s at the level of individual agony. I don’t know how in our times, a writer can choose not to be societal! I have a long list of writers who I love but the one whom I have found to be most interesting is a Chilean writer Roberto Bolano because he is a fantastic stylist, he does incredible things formally with the novel and he’s also deeply interested in politics of the marginalised. TNS: Aphorisms are momentary truths; they are not decrees. Mark Tully’s Non-Stop India and Shashi Tharoor’s The Elephant, The Tiger and The Cellphone about the modernisation of India sound syllogistic. Where do you think India is teetering in twenty first century? SD: Well, I think the party’s over! If I may say, the paradigm has shifted. In the land of manifest destiny, destiny has run out and there is a growing awareness of that. There is something absurd about the Indian elites trying to emulate a model that has exhausted itself in the great power of the twentieth century. The elites are aware of these real constraints, and it has shown up in various forms in the economic data. That partly explains Anna Hazare in a way. It’s an outlet for this rage, as if creating Jan Lok Pal will take care of corruption when corruption is a kind of stand-in for the bogeyman, for a ghost, a spectre or a demon. The fact that the party is over is not going to make India a nice kind place because a real detachment has taken place in the last twenty years between the elites and the rest of the country. I am not suggesting that the elites were wonderfully egalitarian people before that but the disconnect that has taken place whether it’s in terms of the provincial places or in terms of rural India or in terms of the underclasses is abysmal. And I am afraid, this disconnect will lead to greater authoritarianism. I always find India very depressing when I look at it long-distance or in the abstract. I feel more hopeful when I go to small places in India and talk to the people there. They exude a healthy scepticism. The ‘vernacular press’ used to have a much more critical spirit. That remains the case — the state is very powerful, the operations are very powerful and the elites are extremely megalomaniacal. Twentieth century literary discourse feeds on narratives of war and politics. The two world wars stripped humanity, and the European mind, of certain myths it valued and preserved. In 1939, the Soviet invasion of Poland ushers in an era of political turmoil, and exuberance in Eastern Europe. East Europe in the present century produced intellectual dynamites like Ionesco, Vaclav Havel and Czes?aw Mi?osz. These writers witnessed the racist ideologies running their abrasive course to the fullest extreme. Whereas Auschwitz is known for the Nazi gas chambers, Warsaw, Bucharest, and Belgrade, are theatres of communist ideologies. Europe became a minefield of radical imagination. The Nazis not only regimented common people into their ideological fold, but also straitjacketed art. They believed that art must serve the purpose of politics. A few embraced this creed out of fear, others for the sake of change, and yet some discovered a connection between artistic and political truth. Wislawa Szymborska's poetry is also the interplay of playful and political. It is her trademark. The polish poet, a heavy smoker, recluse and one time supporter of communist ideology, died of lung cancer, on February 1, 2012 in her house in Karkow. Born in 1923, she was brought up in an environment which was both politically fraught and intellectually vibrant. In 1957 when Stalin lifted censorship, Szymborska started publishing her works more vigorously. The Irish playwright Samuel Beckett went into underground as he worked for the French Résistance against the German occupation. Szymborska also fled from place to place to avoid the clutches of Gulag (a Soviet government agency recognised as a major instrument of political repression in the Soviet Union.) and forced interments. In those days an intellectual was destined to straddle between dissent and silence. Szymborska's poetry addresses the subtleties which engenders both confluence and segregation between art and politics. 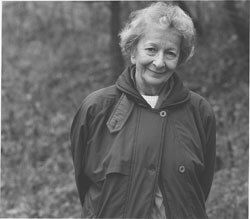 Entitled to less than 400 published poems Szymborska was awarded with the Nobel Prize in 1996, and the Swedish Academy lauded her for writing "poetry that with ironic precision allows the historical and biological content to come to light in fragments of human reality." But there is a recurrent pattern of dilemma from which no communist intellectual can escape: can the intermarriage of political ideology and poetic illusion prosper permanently? As the communist oppression grew into size she chose to prefer poetry over active politics. Onwards, she re-dressed her political dissent with poetic sensibility. Chronologically, Calling to Yeti (1957) is her third collection of poetry which is an evidence of this transformation. The image of Yeti denotes an ape-like animal, tamed by civilisation, but threatens to rip its veneer. The analogy speaks for communism being hijacked and derailed from the track it was assigned to achieve its objectives. It is taken in terms of betrayal to humanity. In the title poem 'Calling to Yeti' she simultaneously invokes and imprecates Stalin calling him an ugly 'snowman'. The appellation "Abominable Snowman" was coined in 1921, and went on to produce diverse connotations. As a snowman gradually becomes disfigured so does Stalin, Hitler, Mussolini, Blair, Bush, Mugabe and Kaddafi. Therefore, the self-imposed distancing from active politics enhanced her familiarity with 'words' of poetry. Like the Irish wordsmith Seamus Heaney she also uses 'words' to create an atmosphere in her poems and sprinkles them with paradoxes and ironies which move readers on various levels. In 1945, when the Second World War was raging the European continent she published her fist poem 'Looking for word' that was published in a Polish literary supplement Walka. The theme of her debut poem remains her life time preoccupation. Even, her brush with active politics could not deter her from translating the woes and happiness of humanity through the power of word. Once away from politics she became a recluse, a condition in congruence with William Wordsworth's concept of poet-a kind of mystic and hermit and yet "a man speaking to man." Therefore, humanity beleaguered by war features profusely in her work. Her themes are usual themes of love, death and loss but it is her use of understatement which transforms a seemingly light and trivial situation into loads of suggestiveness. There is a breath of Emily Dickinson in many of her poems - a combination of laconic expression and allegory. One of her most quoted poems 'Hatred' personifies the twentieth century in feminine terms. She reifies twentieth century as a 'mistress' to hatred. In a subversive way she implants the clichéd fragility of woman at the heart of a tyrant whose combined show of 'hangman' and 'victim' continues to mesmerise and threaten human populations and geographies. Between red blood and white snow. But war and violence did not diminish her faith in poetry. She lived a life of privacy so that when the news of the Nobel Prize broke out she could not be contacted as there was no telephone at her place. The companionship with poetry compensated for mundane communications. Privacy and poetry produced a state of creative solitude and exile. For a woman who witnessed the horrors of war from a close distance poetry offers the desirable space for seclusion to express the predicament and ecstasy of human existence. However, every poet gives a nod of acknowledgment to W.H. Auden's famous saying that "poetry makes nothing happen," and yet uses poetry as a vehicle to transform humanity. In one of the most touching poem 'Some people like poetry' Szymborska comes to terms with the question of the efficacy of poetry in a world marred by religious divisions and economic disparity. there will be perhaps two in thousands. The awareness that poet and poetry is a 'minority' simultaneously signifies its superiority and anonymity. The poem suggests so much: apart from having an actual class room activity on 'poetry' there are 'schools' of thoughts which propagate poetry's ideals and aesthetics. A poet's circle is small but miraculously perennial. The audience of poetry remains numerically fewer, but makes the world feel its presence. Symbrozka never visited America. The title poem of her last collection of poetry Here (2009) suggests that a poet lives everywhere. Only a minority like her can transcend geographies without the hassle of obtaining a passport. And poetry's 'minority' can access the remotest and the deepest realms of human consciousness where the majority of proverbial angels fear to tread. For Szymborska, poetry is a way of communicating love with the least friction symptomatic of real life situation. Whereas she writes on war and violence Szymborska expresses her romantic impulse as modernist writers often reinvent their ideals through nostalgia. But the ambiguities of modern life tarnish their expression of love. In ghettos, slums, and outskirts of a modern metropolis the exiled and migrant flocks search for stability and composure. Human borders are porous, but borders are borders. In 'Love at first Sight' she depicts a tale of modern lovers. They are borderline children of uncertainty. But, 'uncertainty' is also a metaphor of the life's complexity in the twentieth century. Samuel Beckett's work resonates with the word 'uncertain' almost with a religious conviction. Though Szymborska is not as angst-ridden as the existentialist writers were but in the wake of wars and violence it was hard to keep one's ideals intact. However, uncertainty is 'beautiful' because poets can treasure it but politicians spoil it since they claim to convert uncertainties into certainties. Perhaps, poetic illusion is more effective than political rhetoric. The joy of writing does not eliminate the sadness from human life but makes life palatable and endurable as in an interview with John Hopkins in The Guardian of July, 1, 2000 she says that "Sadness is the beautiful category". The writer is English language poet, and currently reading for his PhD at the University of Essex, UK.